The off-season is upon us, but we have plenty of content to keep you occupied here at BlogToBlogChamps. Each Monday, we’ll publish a feature from the 2014 York Revolutionary Times, the official game day magazine of the York Revolution, for you to re-enjoy, or read for the first time in case you missed it at the ballpark. This week we re-visit Ron Gardner’s comprehensive profile of Corey Thurman, as he looks back on the seven seasons he’s spent in a Revolution uniform. 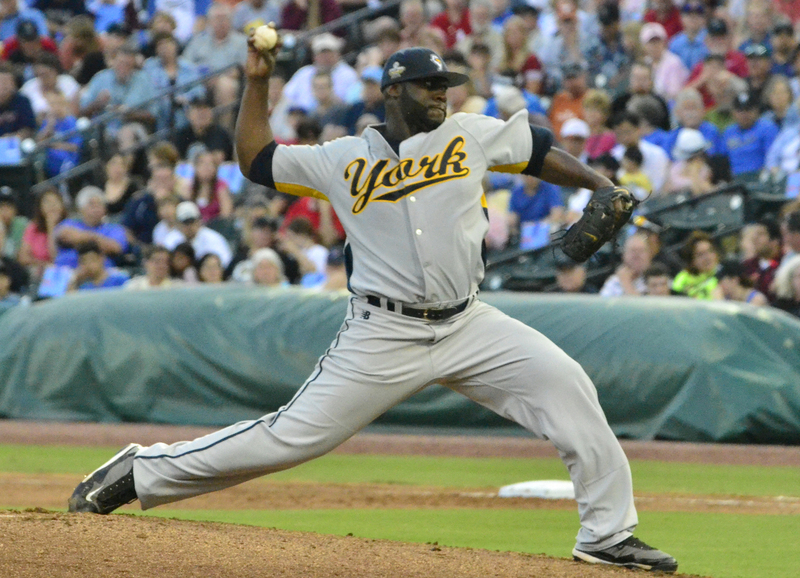 When pitcher Corey Thurman first signed with the York Revolution for the 2008 season, he remembers hoping his stay in York would be a brief one. Six years earlier at age 23, Thurman first realized his dream of wearing a Major League uniform, appearing in a total of 49 major league games (four starts) with the Toronto Blue Jays in 2002 and 2003. 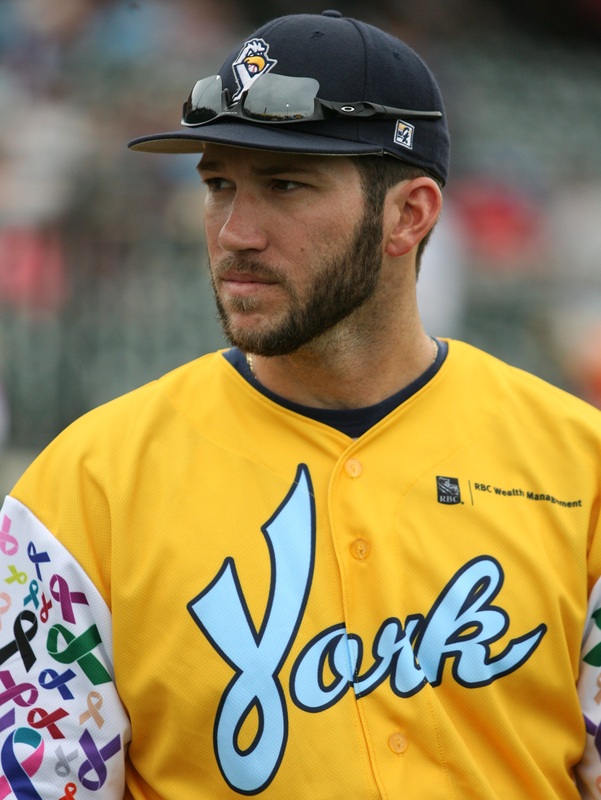 Courtesy of Jason Bristol at CBS 21, York Revolution outfielder Sean Smith will be presented with the “Ron Santo Inspiration Award” on Sunday, January 25 in Chicago. The award, named for the late Chicago Cubs third baseman and broadcaster, is presented at the Pitch & Hit Club of Chicago awards dinner. 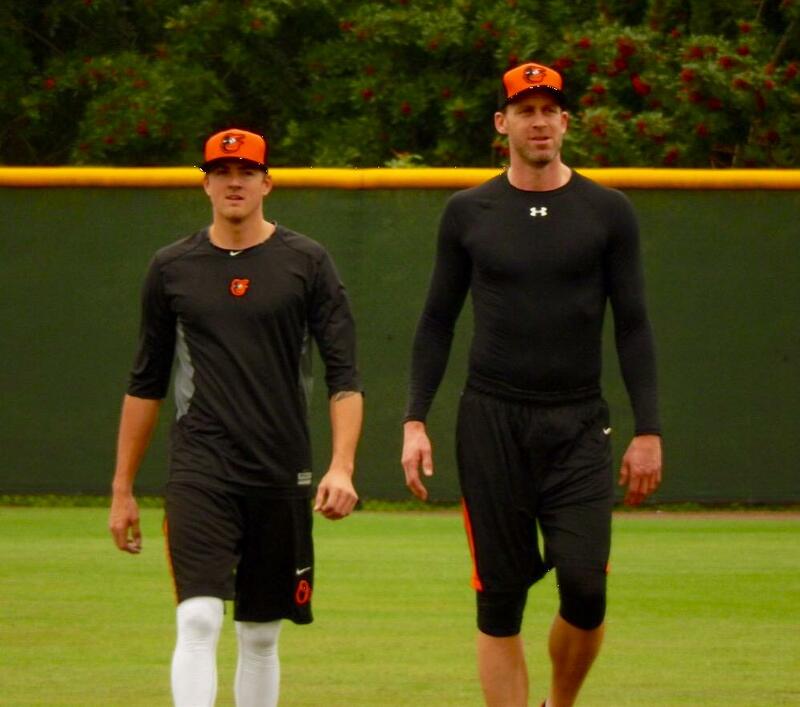 Smith, a Chicago-area native, is currently there rehabbing his injury. 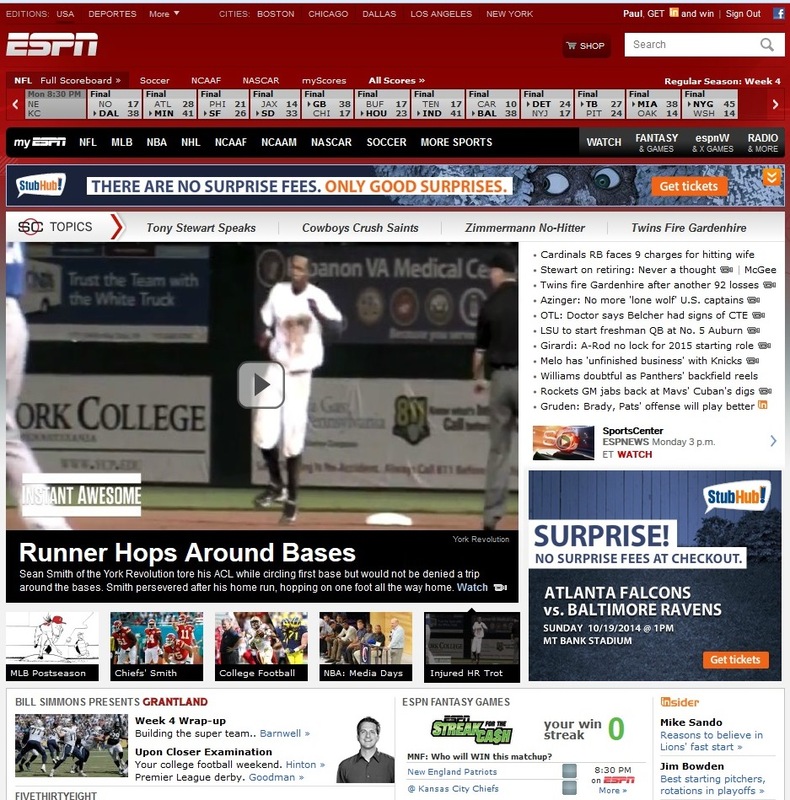 Smith of course made national news and led SportsCenter the night of September 26, after his game-tying home run in the seventh inning of Game 3 of the Freedom Division Championship Series against Sugar Land. Despite tearing his patella tendon running out of the box as he got to first, he refused a pinch runner and executed the now famous “hop seen ’round the world” to finish off the home run. The Revolution would later win 3-2 on a Johan Limonta walk-off single in the 11th. Revolution fans searching for the first word on which players have signed with the team for the 2015 season will only need to find York’s only station for local sports. The organization has announced each new roster addition will be announced live on the new “Revs Hot Stove Weekly” program to air on SportsRadio 1350 WOYK each Friday at 4 p.m. beginning Friday, February 6. Shows will run into mid-April, leading up to the regular season opener at home against the Long Island Ducks on Friday, April 24. The show will be hosted by Darrell Henry, with the help of York Revolution Manager Mark Mason. Anywhere from two to four new player additions to the 2015 roster will be announced exclusively on the show each Friday, well before any official announcement is made by the team on social media or otherwise. 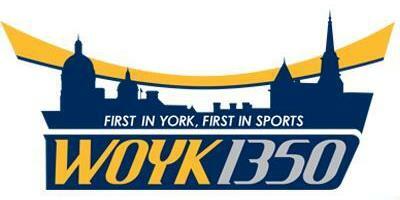 Revs fans will have to tune their radio dial to 1350, listen online at WOYK1350.com or via the WOYK mobile app to be the first to know each Friday. The off-season is upon us, but we have plenty of content to keep you occupied here at BlogToBlogChamps. 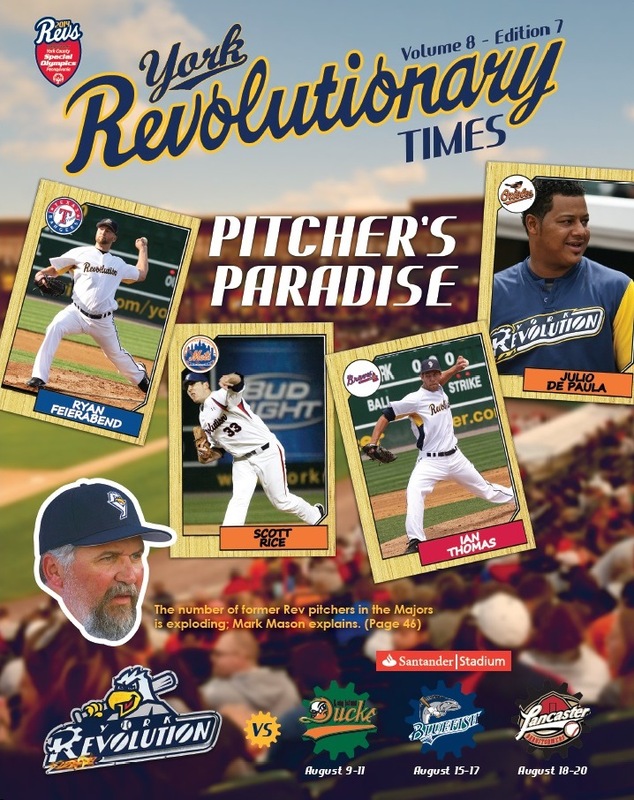 Each Monday, we’ll publish a feature from the 2014 York Revolutionary Times, the official game day magazine of the York Revolution, for you to re-enjoy, or read for the first time in case you missed it at the ballpark. This week, we look back on Ron Gardner’s conversation with Chad Tracy, and his growing up in pro baseball during his father Jim’s long managerial career. Tracy, who retired as a player after the season, is now following in his father’s footsteps, having agreed to manage the Angels Class A Midwest League affiliate in Burlington, Iowa this coming season. It’s probably not uncommon for kids to visit where their mom or dad work and then grow up hoping that some day, they would get to follow their parent in that very same business. It’s exactly what happened to Revolution first baseman Chad Tracy. As far back as he can remember, back to when he was eight years old or so, Tracy got to go to work many times with his dad after school was out for the summer, always dragging a wiffle ball bat behind him. When there was time, his dad would take Tracy out in the grass, tossing a few pitches for his enthusiastic son to take a few swings at … again, pretty much the norm for dads and sons in backyards everywhere. The off-season is upon us, but we have plenty of content to keep you occupied here at BlogToBlogChamps. 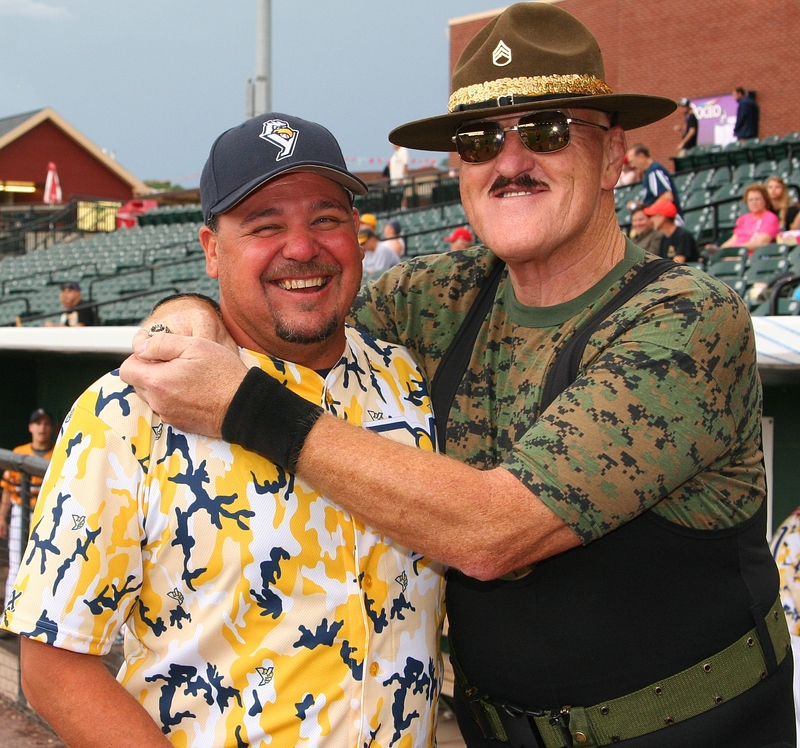 Each Monday, we’ll publish a feature from the 2014 York Revolutionary Times, the official game day magazine of the York Revolution, for you to re-enjoy, or read for the first time in case you missed it at the ballpark. This week, we re-visit Manager Mark Mason’s impressive run of recruiting top pitchers, who eventually found themselves in a Major League uniform shortly after their time in York. As a coach or manager, taking credit when a player does well is a slippery slope. So don’t expect York Revolution Manager Mark Mason to make too big a deal when you bring up the fact six pitchers he’s worked with in York have reached the big leagues since the mid-point of the 2012 season. The off-season is upon us, but we have plenty of content to keep you occupied here at BlogToBlogChamps. Each Monday, we’ll publish a feature from the 2014 York Revolutionary Times, the official game day magazine of the York Revolution, for you to re-enjoy, or read for the first time in case you missed it at the ballpark. This week, learn more about Revolution pitching coach Paul Fletcher. After his first season in the Atlantic League in 2014, he’ll be returning for a second season. There are a quite a few successful pitching coaches at all levels of professional baseball that would freely confess that they spend very little time actually coaching their pitchers on how best to deliver a pitch to a hitter. Today’s pitching coaches are an amalgam of roles that includes being a part-time mentor and part-time psychologist, a mystic guide, a trusted confidant and best friend, a sometimes babysitter and an unwavering cheerleader.